The property is composed of three 2-bedroom bungalows all with magnificent ocean views. All the bungalows have bathrooms, and there is also a separate stand alone area with 2 additional full bathrooms to accommodate large groups . Rooms are furnished with bedding and pillows. All together there are 5 bathrooms with 3 showers to provide convenience for larger groups. A large thatched rancho with outdoor living room area and multiple hammocks. It has two small bedrooms one with a set of twin bunks and another with a twin over full bunk. It has a half bath. Because of its location it almost always has a cooling breeze so the rooms do not have AC. Two small air conditioned rooms that are almost completely glass, so as to maximize the amazing ocean views. One has a set of bunks the other has a full size bed. There is a half bath and a large outdoor living room area. Two air conditioned rooms rooms that each have 2 sets of bunks. It has a kitchen and full bathroom. The newest addition is a "glamping" platform with a Volkswagen Bus that sleeps 3 people (with A/C) and a tent that comfortably sleeps 2. 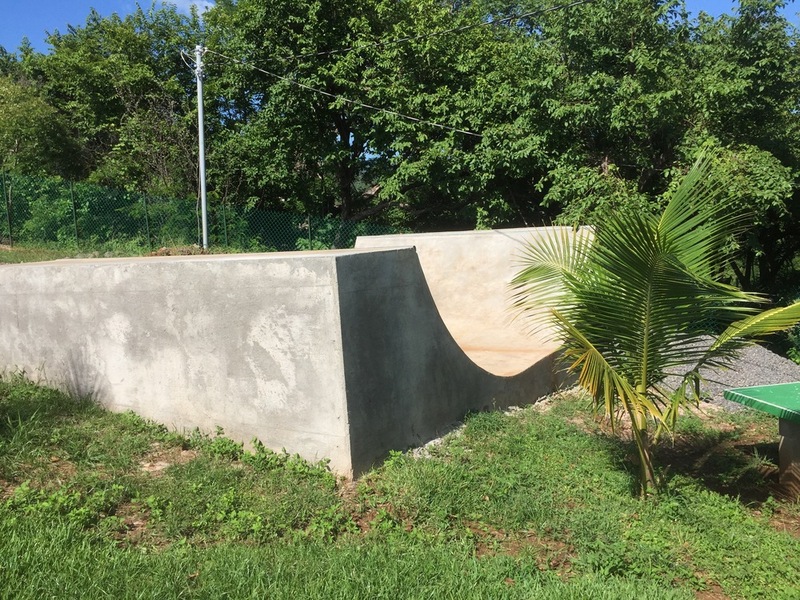 This platform overlooks the Punta Mango surf break and is unique to Central American surf travel.